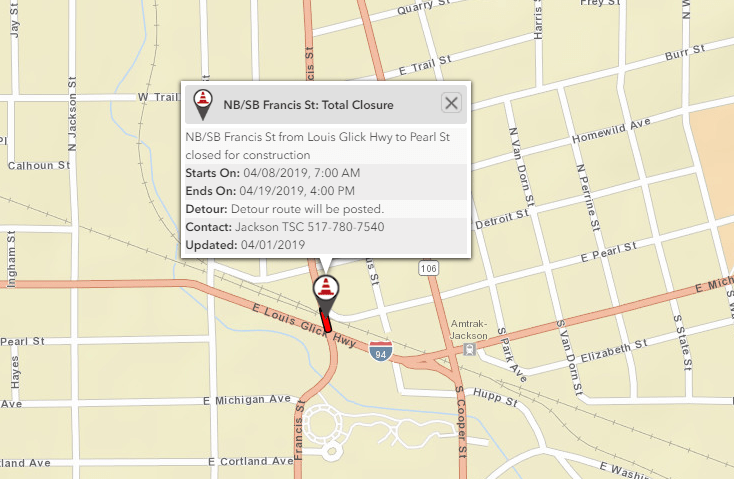 Martin Luther King Drive, just north of Louis Glick Highway, will be closed from April 15 until April 26 according to an updated press release from MDOT. The MiDrive site shows that the project was pushed back by a week. Louis Glick will not be impaired by the work, however commuters travelling on MLK will need to seek alternate routes. Cooper Street, just two blocks east, is recommended. Northbound traffic will be detoured to West Ave, and southbound traffic is moved to Cooper Street. The closure is to reconstruct the railroad crossing. While MDOT has provided the information, Amtrak will be conducting the work. 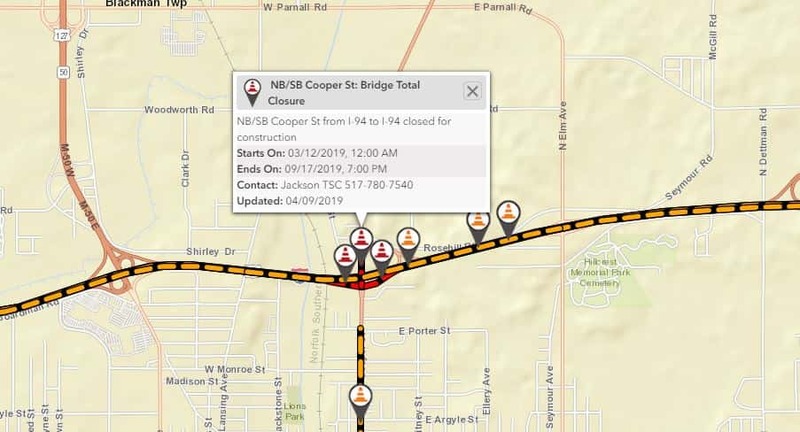 This closure comes in conjunction with MDOT’s closure of I-94 from Friday, April 12 to Monday, April 15 to remove the Cooper Street bridge above the interstate. Eastbound traffic will be diverted off the expressway at the Cooper Street exit and get back on through the Cooper Street entrance ramp. Westbound traffic will be detoured to U.S. 127 south, to East Michigan Avenue, Louis Glick Highway, West Michigan Avenue, West Avenue and back to I-94. The work is scheduled to be completed in September, with a longer bridge, roundabouts, and longer entrance and exit ramps.